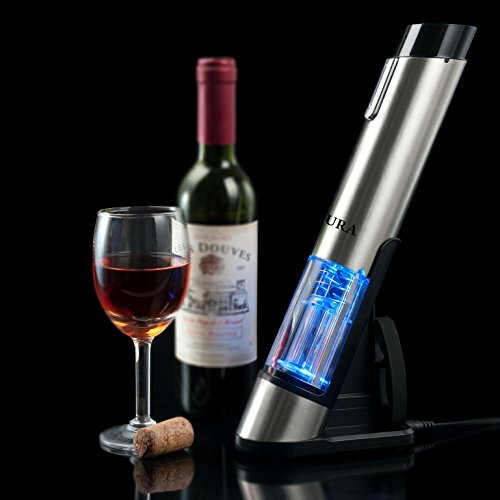 If you’re looking for an Electric Wine Opener that’s more fashionable than the WineOvation Wine Opener Gun, This Stainless Steel Electric Wine Opener is perfect for you. 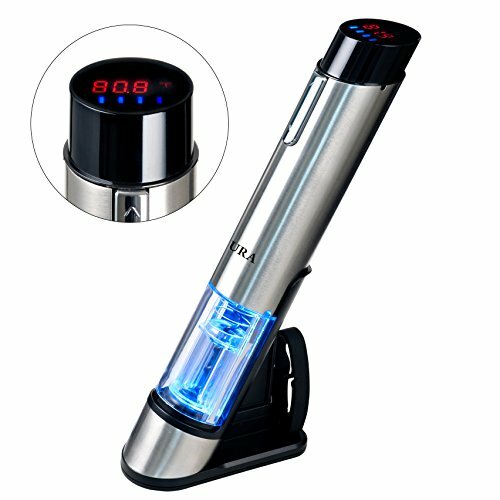 It features a durable and elegant stainless steel housing with a see through mechanism and built-in digital wine thermometer that can read the temperature of the bottle with a push of the button. 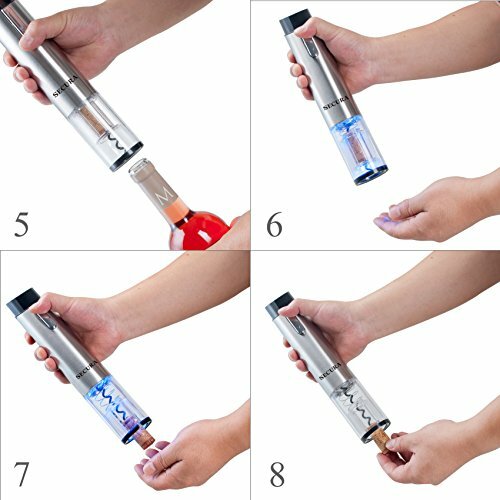 It also features a built-in rechargeable battery that’s good for opening up to 30 bottles on a single charge. All you have to do is push the button and the cork is extracted effortlessly. In the recharging base (featuring blue LEDs), there’s an included foil cutter included for easily removing seals. So, if you’re looking for an affordable gift for the sophisticated wine lover in your life, this is it. Dimensions: 11.9 x 8.3 x 3 inches. 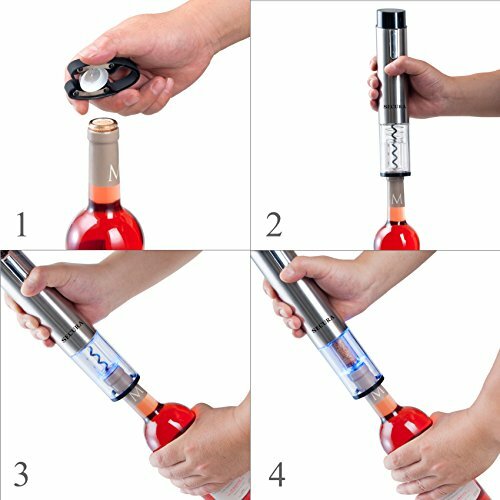 Classy and elegant way to open wine bottles with the push of a button.